Cyn Balog’s latest novel Sleepless hits shelves today, and I have an extra ARC copy (thanks to Random House at ALA) to give away. If you want it, please comment by 11:59pm EST tonight (July 13) with a way for me to contact you. Open internationally. You can earn one extra entry if you comment on my review of Sleepless. I’ll email the randomly selected winner. UPDATE: Winner of the giveaway is Jill of The O.W.L. Congrats, Jill! Hi, I'd love to be entered into this :). Thanks! Sweet. I've heard some great things about this book. Thanks! You review was interesting (it's the first I've heard of this book) and I've added it to my TBR now! Still not sure about your fascination with sandmen though! Thanks for this oppertunity. I'm glad it's international. I would just love to win a copy of this! 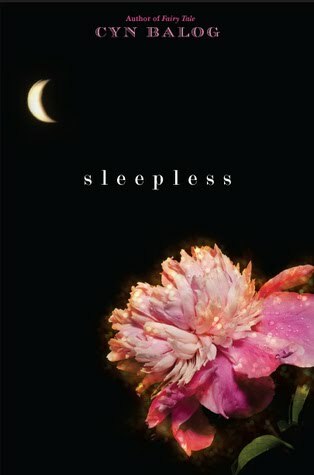 Sleepless sounds like such a great, original read! Would love to read it, please enter me too! Please sign me in too! I've read the review and comment. Love it! Oh, please enter me. : ) Thanks for sharing with us! Love the cover of this one. Please add my name. I'd love to read this book - thanks for the chance! I just read your review of Sleepless and it made me want to read this book even more than I wanted to before. I really like how you pointed out the flaws, too, but still enjoyed the book - I love books that you can still love even with the flaws! Plus, I left a comment on the review. Love these fast contests! I'd love to be entered. Commented on your review! Oh my God,I need this book! !Please enter me! !Thank you!! Please enter me! !And thank you for the contest!! Oh yes please! I would love to read this book! Thanks for hosting the giveaway. I'd love a chance at reading it! I also commented on the review. Great giveaway - I just added this to my wish list last week! This is one of the most anticipated books on my radar this year!